Sara MacIntyre joins Peter Reitzes to discuss what she wishes her speech-language pathologist (SLP) had known about stuttering. Sara shares that she wished her SLP knew to tell her that stuttering is not your fault. During the conversation, Sara and Peter discuss passing as fluent, how the field feels to be sanitizing stuttering (using the word fluency instead of stuttering), the importance of talking openly about stuttering during treatment, how good professional development can really make a difference for SLPs learning about stuttering and so much more. 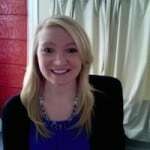 Sara MacIntyre, M.A., CCC-SLP is a person who stutters, a speech-language pathologist at the American Institute for Stuttering (AIS) in New York City and teaches at Mercy College. Sara’s excellent chapter, Passing as Fluent, can be found in the StutterTalk book, Stuttering: Inspiring Stories and Professional Wisdom.